This week on our social media channels, we’re featuring items that we’ve put our logo on. If you aren’t already, make sure you’re following us on Facebook, Twitter and/or Google+ for daily updates! If you pay attention to statistics of how people search the internet, you’ll notice a growing trend: Mobile Search. With people spending more and more time on their phones looking through web content, you always want to keep that in mind when you’re posting things on your social media channels and when you’re building or posting on your website. 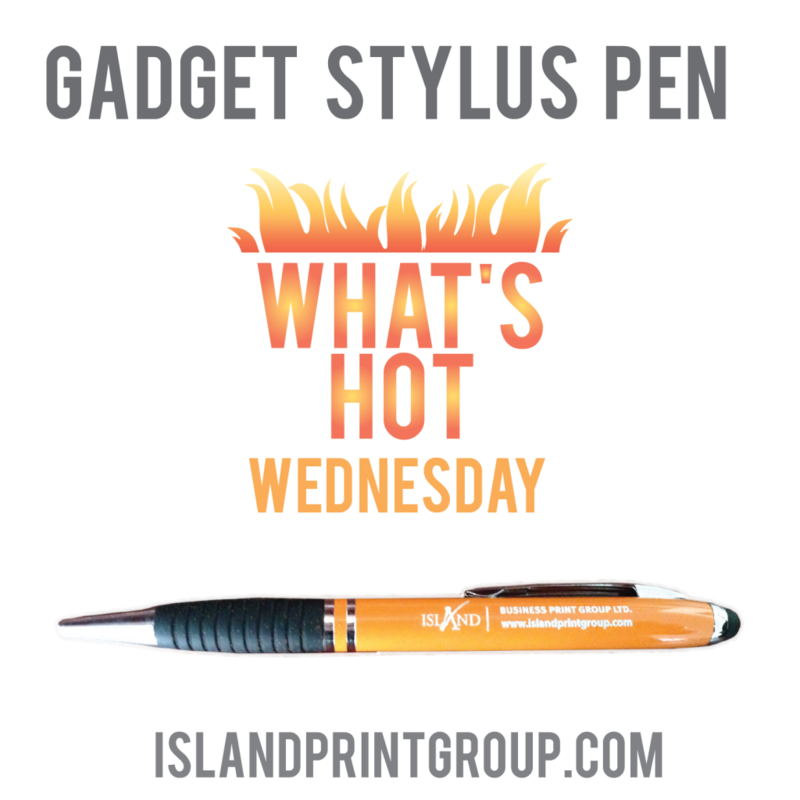 Jumping back to the promotional products world, you want to be sure that the item you are putting your branding on is being kept and utilized by your customer. This is why, for so long, items like pens and mugs have been so popular. With people moving into more of a digital world, and even more so a mobile one, it’s important to keep that in mind when selecting your branded products. This is why I love Stylus Pens. Dual use, means more use. An item that straddles the digital and physical world. Increase in mobile presence means an increase in smart phone/tablet use. Why not give them a pen for their phone? As a pen nerd, there are quite a few things I look for in a pen. This one hits the mark on all of them. It is made of aluminum with a chrome trim. Not only does this make it have a higher perceived value, it also gives it weight without making it too heavy. It writes beautifully – it comes with medium point black ink. The standard imprint method for this pen? Laser Engraving. Yep, you read that right. Usually the standard is a silk screen imprint. Not this bad boy. It’s no ordinary ‘ol pen. 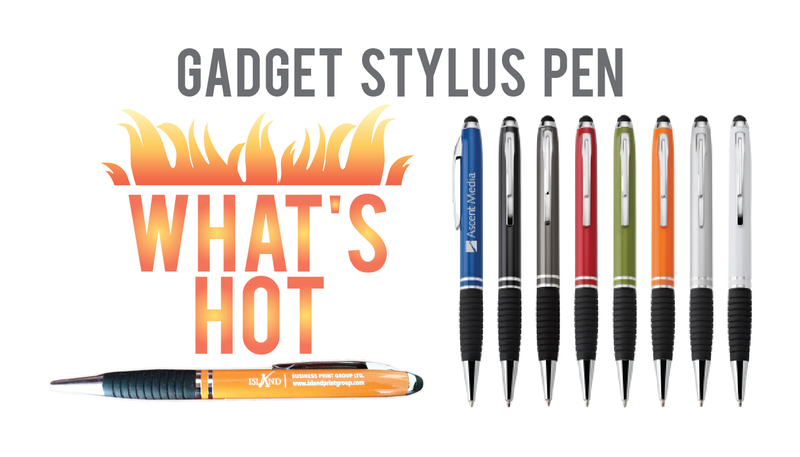 The comfort grip is fabulous and the soft black rubber capacitive stylus is the icing on the cake. Moral of the story? This pen is wicked awesome.